Sawood Alam, Michael Nelson, Herbert Van de Sompel, David S.H. Rosenthal “Web Archive Profiling Through Fulltext Search” TPDL 2016. Preeti Gupta, Avani Wildani, Darrell Long, Ethan Miller and David S.H. Rosenthal, “Effects of Prolonged Media Usage and Long-term Planning on Archival Systems”, 32nd International Conference on Massive Storage Systems and Technology, 2016. Victoria Reich. LOCKSS: ensuring access through time, Ciência da Informação, 2014. Victoria Reich. From Dark Archive to Open Access: CLOCKSS Trigger Event Lessons, Against the Grain, 21:2:2013. David S.H. Rosenthal, Daniel C. Rosenthal, Ethan L. Miller, Ian F. Adams, Mark W. Storer and Erez Zadok. “The Economics of Long-Term Digital Storage”, Memory of the World in the Digital Age, Vancouver, BC, September 2012. 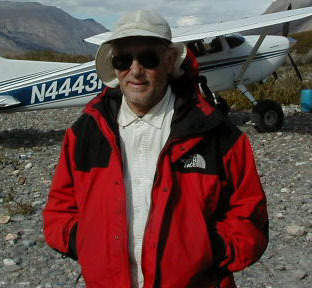 David S.H. Rosenthal and Daniel L. Vargas. “LOCKSS Boxes in the Cloud” Report to Library of Congress, September 2012. James R. Jacobs and Victoria Reich. “Preservation for all: LOCKSS-USDOCS and our digital future”, Documents to the People, vol. 38, no. 3, Fall 2010. David S.H. Rosenthal. “LOCKSS: Lots Of Copies Keep Stuff Safe”, Presented at the NIST Digital Preservation Interoperability Framework Workshop, March 29-31, 2010, Gaithersburg, MD. Victoria Reich. “Distributed Digital Preservation”, Proceedings of the Indo-US Workshop on International Trends in Digital Preservation, National Digital Preservation Program, Pune, India, March 2009. David S.H. Rosenthal. “Bit Preservation: A Solved Problem?”, Proceedings of iPRES2008, London, UK, September 2008. Paul Williams, David S.H. Rosenthal, Mema Roussopoulos, and Steve Georgis. “Predicting the Archival Life of Removable Hard Disk Drives”, Proceedings of Archiving 2008, Bern, Switzerland, June 2008. T.J. Giuli, Petros Maniatis, Mary Baker, David S.H. Rosenthal, Mema Roussopoulos. “Attrition Defenses for a Peer-to-Peer Digital Preservation System”, Proceedings of the 2005 USENIX Annual Technical Conference, April 2005, Anaheim, CA. Petros Maniatis, TJ Giuli, Mema Roussopoulos, David S.H. Rosenthal, Mary Baker. “Impeding Attrition Attacks on P2P Systems”, 11th ACM SIGOPS European Workshop, September, 2004, Leuven, Belgium. David S.H. Rosenthal, Mema Roussopoulos, TJ Giuli, Petros Maniatis, Mary Baker. “Using Hard Disks For Digital Preservation”, Presented at the IS&T Archiving Conference, April 2004, San Antonio, TX. Chuck Eckman, Vicky Reich, Tom Robertson, David S. H. Rosenthal. Lots of copies keep stuff safe (LOCKSS) government documents: SGER# 0245231, Proceedings of the 2004 annual national conference on Digital Government Research Article, No.80:May:2004. Victoria Reich & David S. H. Rosenthal. Preserving today's scientific record for tomorrow, (editorial) British Medical Journal, 328:61‐62:2004. David S.H. Rosenthal, Petros Maniatis, Mema Roussopoulos, TJ Giuli, Mary Baker. “Notes on the Design of an Internet Adversary”, Adaptive and Resilient Computing Security Workshop, November, 2003. David S.H. Rosenthal, Mema Roussopoulos, Petros Maniatis, Mary Baker. “Economic Measures to Resist Attacks on a Peer-to-Peer Network”, Presented at the 1st Workshop on Economics of Peer-to-peer Systems, June 2003, Berkeley, CA. Nikolaos Michalakis, Dah-Ming Chiu and David S.H. Rosenthal. “Long Term Data Resilience Using Opinion Polls”, Presented at IPCCC: The 22nd International Performance, Computing, and Communications Conference, April 9-11, 2003, Phoenix, AZ. David S. H. Rosenthal and Mark I Seiden. “Is There an Alternative to Long-Term Secrets?”, Presented at the Santa Fe Institute Workshop: Resilient & Active Defense Of Networks, November 2002, Santa Fe, NM. Victoria Reich. Diffused Knowledge Immortalizes Itself. The LOCKSS Program, High Energy Physics Libraries Webzine, 2002. Vicky Reich & David S.H. Rosenthal. “LOCKSS (Lots Of Copies Keep Stuff Safe)”, Presented at CEDARS Workshop: Information Infrastructures for Digital Preservation. December 6, 2000, York, England. David S.H. Rosenthal and Vicky Reich. “Permanent Web Publishing”, In Proceedings of the FREENIX Track: 2000 USENIX Annual Technical Conference. June 18-23, 2000, San Diego, California. pp. 129-140. Dr. Carl H. Gotsch & Vicky Reich. Electronic Publishing of Scientific Journals: Effects On Users, Publishers, and Libraries, Funded by the Council on Library Resources, Feb:1997. Greg Anderson, Rebecca Lasher, Vicky Reich. The Computer Science Technical Report (CS-TR) Project: A Pioneering Digital Library Project Viewed from a Library Perspective, The Public-Access Computer Systems Review, 7:2:6-26:1996. Also published as, The Computer Science Technical Report (CS-TR) Project: Considerations from the Library Perspective, Department of Computer Science, Stanford University, Report No. STAN-CS-TR-95-1554. Vicky Reich et al. Electronic Journals & Listserves, an introduction for Technical Services, Library Resources & Technical Services, 39:303-319:1995. Vicky Reich & Dr. Terry Winograd. Working assumptions about the digital library, Technical Report. Stanford InfoLab, 1995. Victoria Ann Reich and Melissa Ann Betcher. "Library of Congress Optical Disk Print Pilot Project, Staff Evaluation." Energies for Transition, Proceedings of the Fourth National Conference of the Association of College and Research Libraries, Baltimore, Maryland, April 9-12, 1986, pp. 229-235. Rosemary Anderson, Victoria A. Reich, Pamela Roper Wagner, Robert Zich. Library of Congress Online Public Catalog Users Survey. Library of Congress, Washington, D.C. October 1982. ERIC Document Number ED231384, 101p. Manfred Kochen, Victoria Reich and Lee Cohen. "Influence of Online Bibliographic Services on Student Behavior." Journal of the American Society for Information Science, Volume 32, November 6, 1981, pp. 412-420.